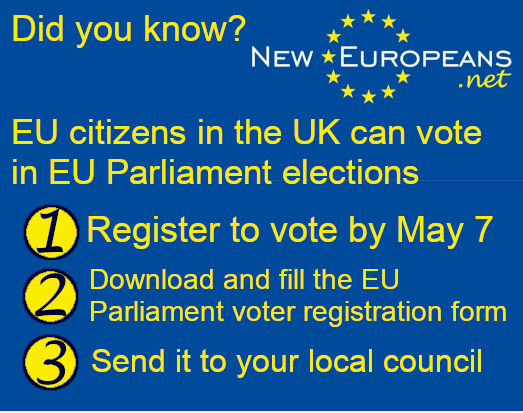 As an EU citizen, you have the right to vote in EU Parliament elections however you first need to register. You can print it or fill it in using an app such as Adobe Fill and Sign. Send the form to your local Electoral Registration Office by May 7th. You may also be able to send it by email. Can you support our campaign with a donation?